Utilities can eat up profits quickly. Remember, that most guests will not conserve as they really don’t care what your bills are. Long showers, lights left on, heat turned up and air conditioning turned way low are all to be expected in this business. If you know what your normal utility expenses are for the home, take that cost, half it and add the half to your current bill to get an idea of what your costs may be in the future with guests. Your water and electric (or gas) bill will increase even more if you are laundering linens and towels at the home between guests. In most situations your guests will expect some modern conveniences such as internet and TV. If you do not plan on having these in your home then you MUST prominently disclose that in your listing description or expect upset guests, poor comments and lower ratings. Some guests may even leave to find another place to rent. Many monthly TV and internet subscriptions cost $20 to $150 in the United States. Some hosts cut the cord to TV providers and offer NetFlix or Amazon instead which significantly reduces cost; however there are many guests who desire to watch local or current programming or sports. Normal home-owners insurance and landlord insurance do not cover short term vacation rentals. Unfortunately you cannot expect the booking website to stand behind their insurance policy even when they say they offer it. You must cover your property and liability with a specifically written short term rental policy. By the way, do not call your homeowner’s insurance company to inquire about short term rental insurance. In many cases the agent will document your call to use as a reason to deny a future claim or many people have found the agent immediately cancelled their insurance! There are a couple of companies who offer STR insurance in the United States. They can be found by doing an internet search. In some states Allstate offers an extended premises addendum that covers STR if you are covering your primary home. American Modern Property & Casualty (www.amig.com) provides STR coverage for homes that are rented for less than 30 days. Farmers Insurance has just started offering STR coverage beginning November 1, 2017. Short term rental policies will cost you more than traditional ones, but are the only way to be covered in the event of an accident. In our experience either policy added about $50 a month to our insurance cost. Dinged walls, broken faucets and torn furniture coverings are our primary maintenance issues. Yours may be different. We generally spend a couple hundred dollars each year maintaining a home. However, in the event of a major malfunction (think water heater or AC system failure) your expenses could go up drastically. A rule of thumb is to keep about $5,000 per home in the bank to cover immediate emergencies. Simple maintenance, such as patching walls from fights with suitcases should be an ongoing process to make sure your home stays presentable at all times. Also included in maintenance is yard work- mowing hedge trimming, flower garden weeding, snow removal etc. One of the largest costs associated with short term rentals is cleaning. Doing it yourself will obviously be the cheapest alternative in terms of cash outlay, but many absentee homeowners are unable to do clean and must contract with a cleaning service. If you are fortunate, you might find a service willing to clean for about $50 each time. More difficult will be finding someone to clean on the weekends. Another cleaning option is to hire a co-host. The new host can help in other areas as well as cleaning to help pay for this expense. Some vacation rental owners provide food or drinks for their guests. In my opinion you should minimally offer coffee, cream and sugar. Europeans will appreciate the ability to make hot tea. In my rentals we offer bottled water because our homes are in a hot climate that many people are not used to and it also keeps the refrigerator from running constantly thus extending the life of the appliance. I also provide some mints or chocolates for our guests along with a thank you note. Both items are relatively cheap and go a long ways toward welcoming your guests. The best place I’ve found to purchase thank you cards is a dollar store. One other item you might want to provide are hand and bath soaps and shampoos as travelers have difficulty taking these items on airplanes. One of the costs of doing business with a vacation rental is replacing items that have become damaged, stained or broken. The most common items you will replace are bed coverings and towels. In my experience, on average, we replace one set of sheets and a set of towels every other month. 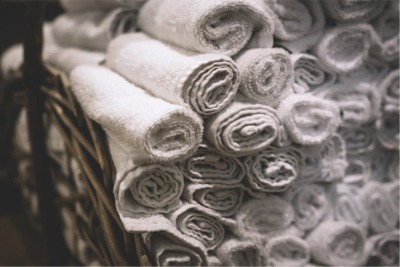 You can mitigate some cost by purchasing identical sheets for each same size bed as well as towels. That way if one item such as a top sheet or hand towel is destroyed the other items can still be used. Most of the rental listing companies provide a means for hosts to try to recoup the cost of damaged items such as charging security deposits or having the guest purchase insurance. Take each of the categories mentioned above and add up the expected expenses. Make sure the expenses do not cost more than the expected income! If the expenses are too high then look at ways to reduce cost such as lower speed internet, fewer TV channels, cheaper towels and sheets, less food, etc.